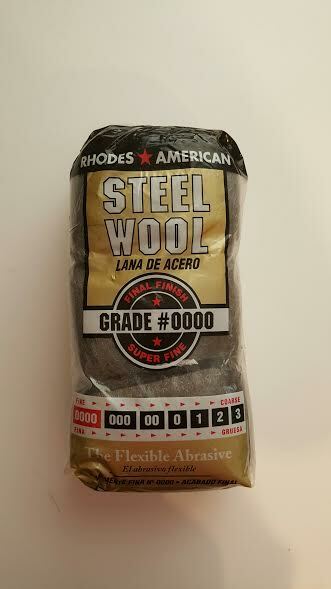 12 pack Steel Wool #0000 Use to apply- never scrub. will not harm metal or wood surfaces. The best applicator for The Victorian House Finish Rejuvenator to allow penetration into the finish. A rag will separate the formula and won't let the oil penetrate into the finish for long lasting results. Will not harm any finish, soft as a paint brush. WAS WORRIED ABOUT THIS TAKING THE FINIISH OFF. ITS AN AMAZING APPLICATOR AND I HAVE FOUND SEVERAL MORE USES. IT IS VERY FINE AND HOLDS THE LIQUID SO THAT IT CAN GO ON THE WOOD WITHOUT RUNNING DOWN YOUR ARM OR WASTING IT IN A RAG. THANK YOU FOR TEACHING AN OLD DOG A NEW TRICK. THIS IS A COOL TOOL. Good price for the amount of product. It was a lot softer than I thought it was going to be.